IBM announced that Watson, IBM's artificial intelligence (AI) platform is now open and available on any cloud platform. This means it is quite possible that enterprise can use Watson AI on major cloud platform providers such as AWS, Azure and the Google Cloud or any other cloud vendor. 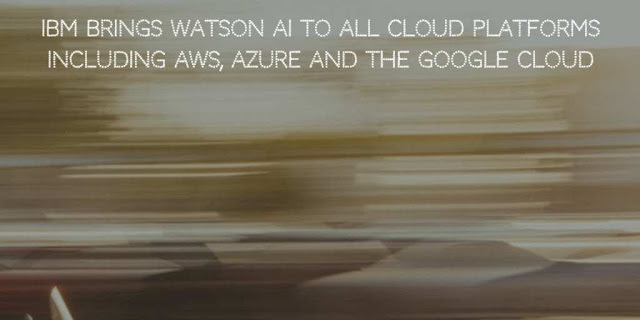 Watson and Watson OpenScale can be run on any environment including on premises, or on any private, public or hybrid-multicloud thus allowing enterprises to bring AI to the data where it resides. To achieve this goal, IBM integrated a series of Watson microservices on IBM's cloud-native information architecture for artificial intelligence (AI) called IBM Cloud Private for Data. The architecture includes and supports capabilities such as integrated with advanced data science, data engineering, and application-building. The multicloud support is achieved with the help of open-source Kubernetes software, a microservices/container orchestration technology. 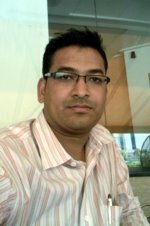 As of now any cloud customer who would like to leverage AI capabilities in their applications or environment, need to source AI capabilities from the very same cloud vendor. Obviously, the availability of the Watson AI platform in a multicloud environment will help enterprises avoid such vendor-lock. General Manager, IBM Data and AI, Rob Thomas, said, "Businesses have largely been limited to experimenting with AI in siloes due to the limitations caused by cloud provider lock-in of their data. With most large organizations storing data across hybrid cloud environments, they need the freedom and choice to apply AI to their data wherever it is stored. By breaking open that siloed infrastructure we can help businesses accelerate their transformation through AI." This new development Waston AI will allow the enterprise to build advanced conversational interfaces into applications and devices with the help of Waston Assistant. IBM said its new AI service will be offered through its forthcoming IBM Business Automation Intelligence with Watson and will be made generally available later this year. With IBM Business Automation Intelligence with Watson, customers can able to apply AI directly to the applications. IBM also announced that IBM Watson Machine Learning is being extended with a new Watson Machine Learning Accelerator which allows high performance GPU clustering on Power Systems and X86 systems.